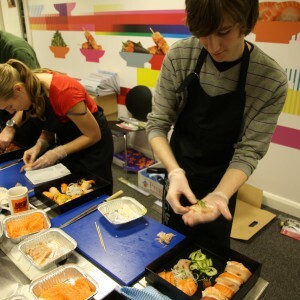 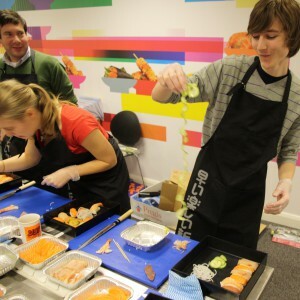 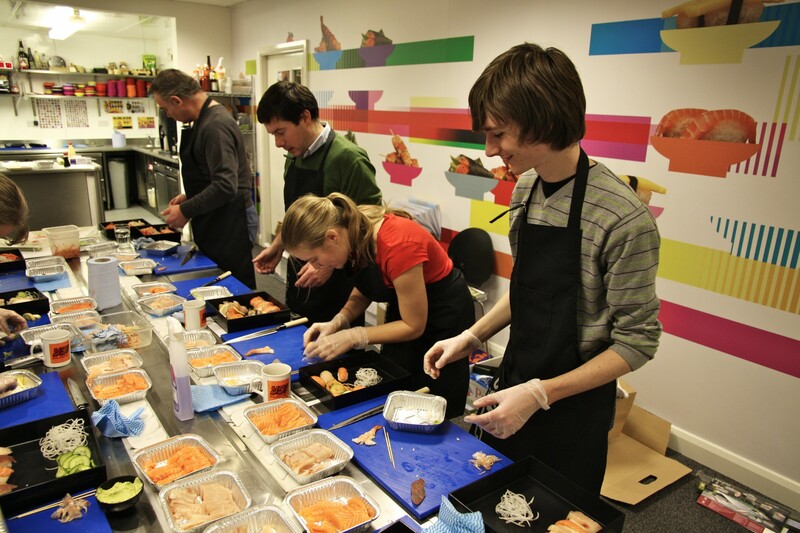 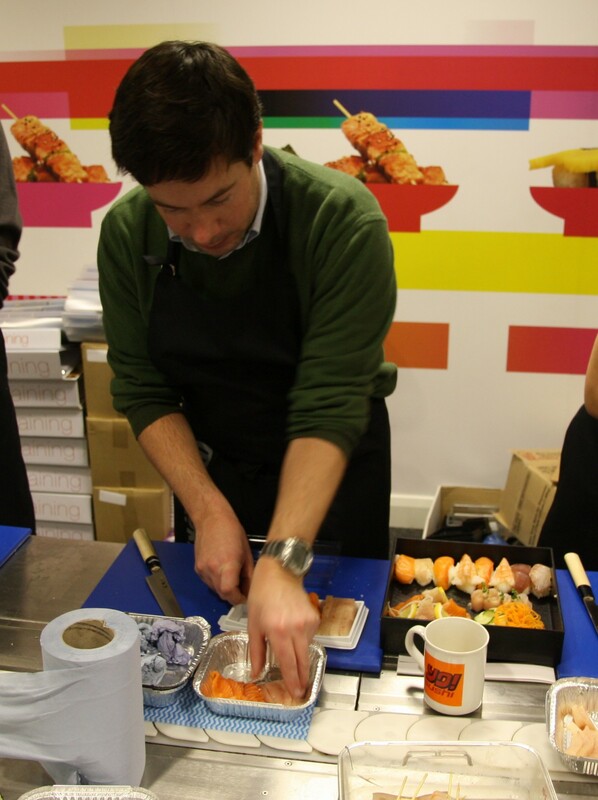 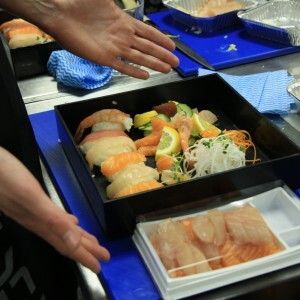 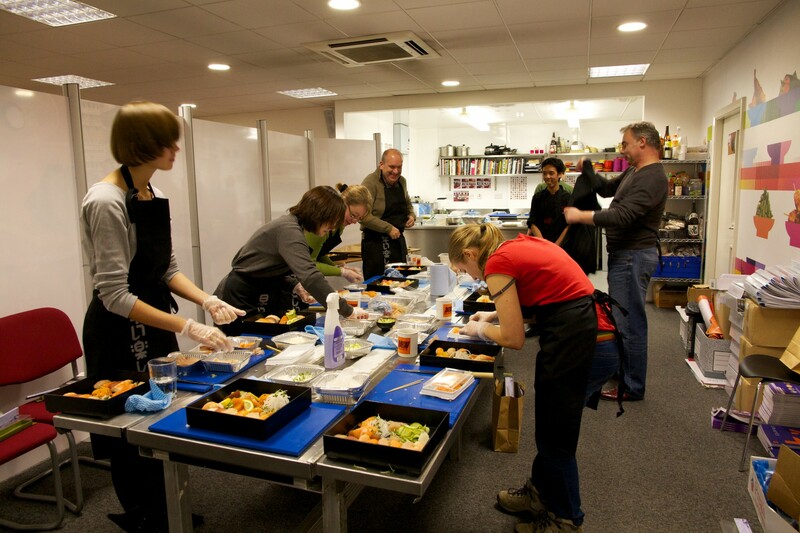 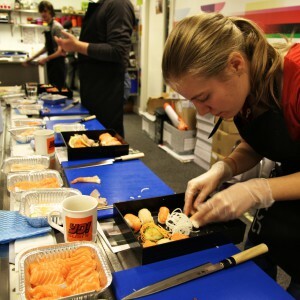 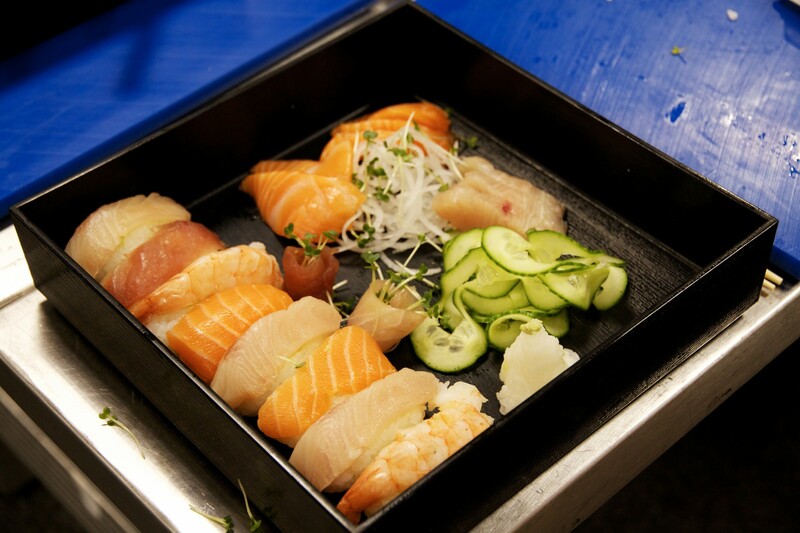 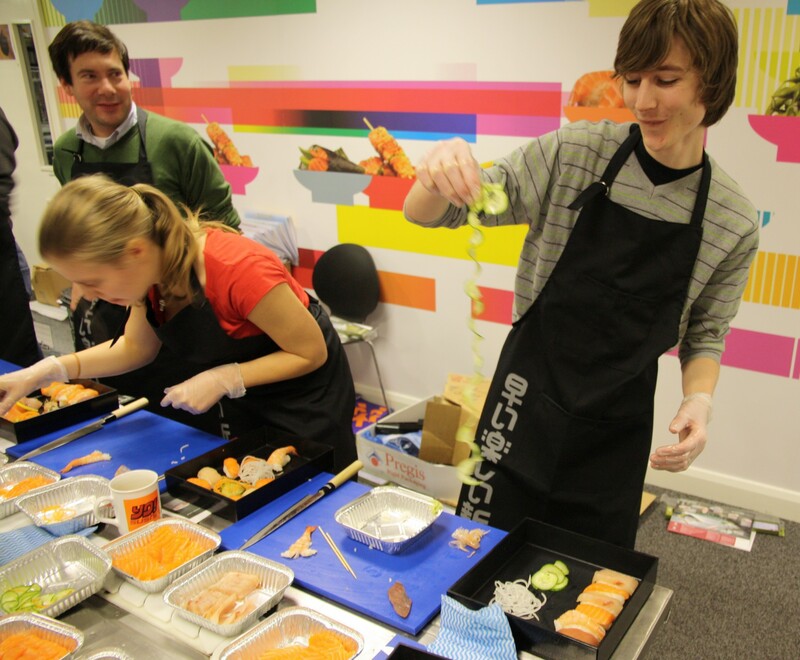 Matthew, William, Sarah and Ed went to Sushi School to learn from the head chef at Yo Sushi how to prepare fish for sushi and sashimi. 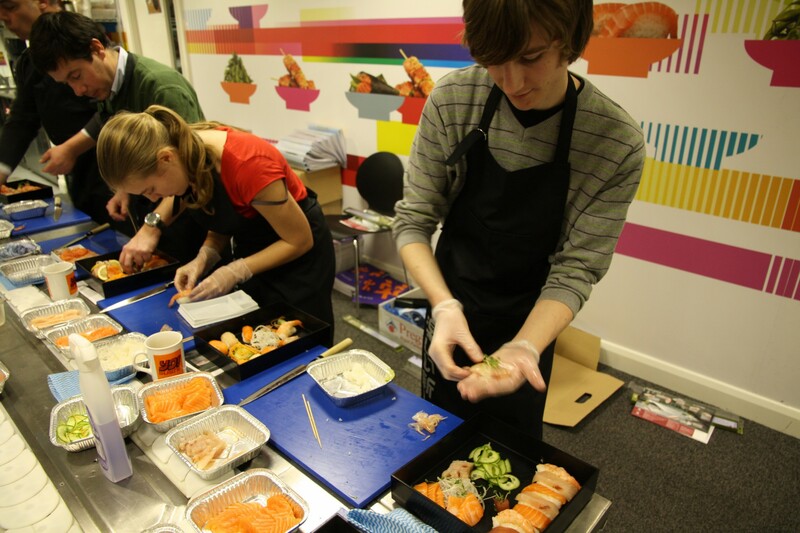 After a morning of learning and cutting fish into sashimi and nigiri slices, we made our lunch. 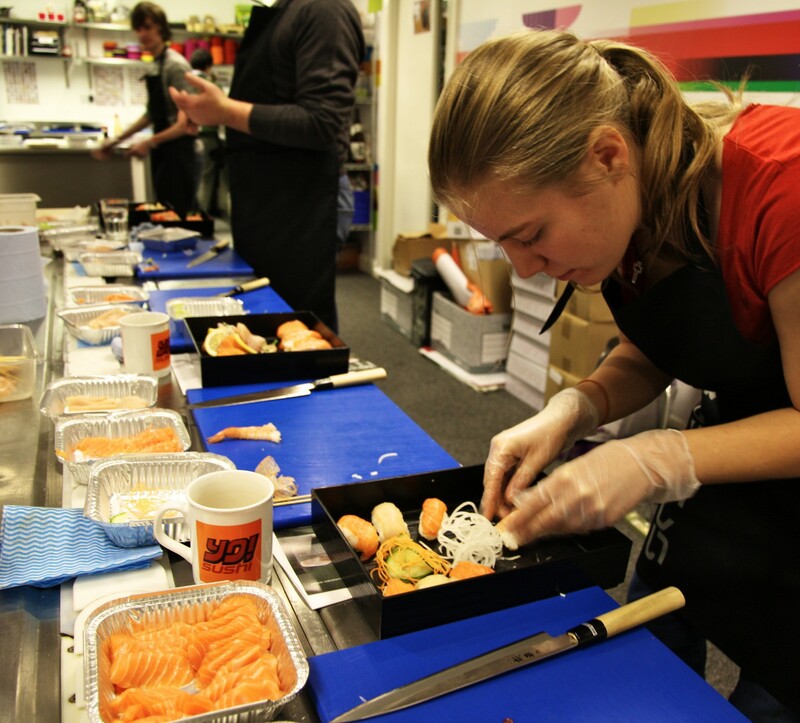 Sarah maintained her resolve and did a good job of pretending she thinks fish is tasty. 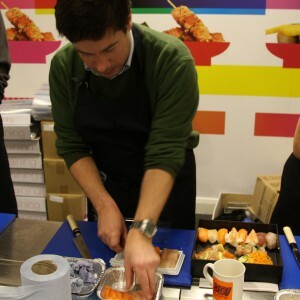 Ed was best at skinning the fish, having been on many successful fishing trips. 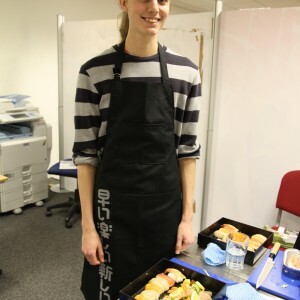 Master chef, William, was well ahead of us making his lunch. 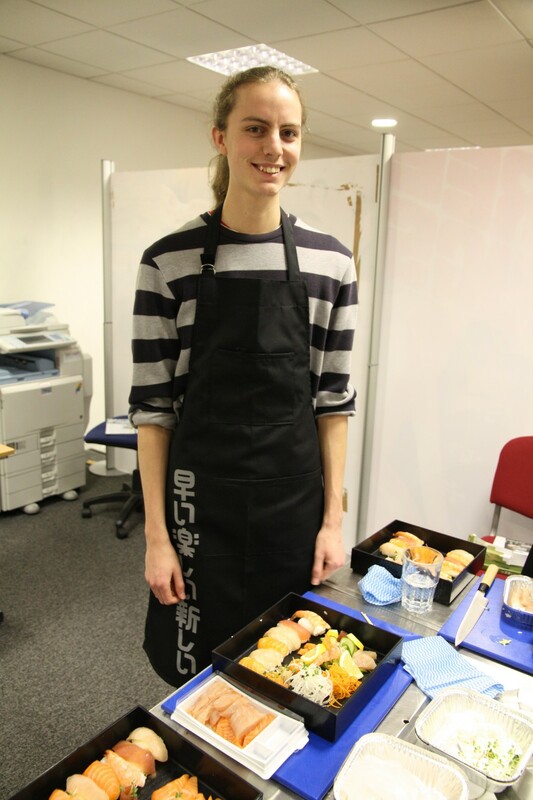 William’s lunch was the prettiest. 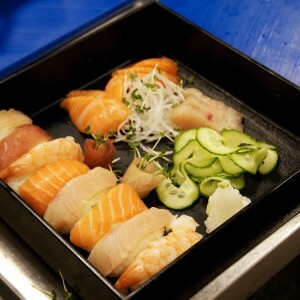 Matthew’s sushi lunch. 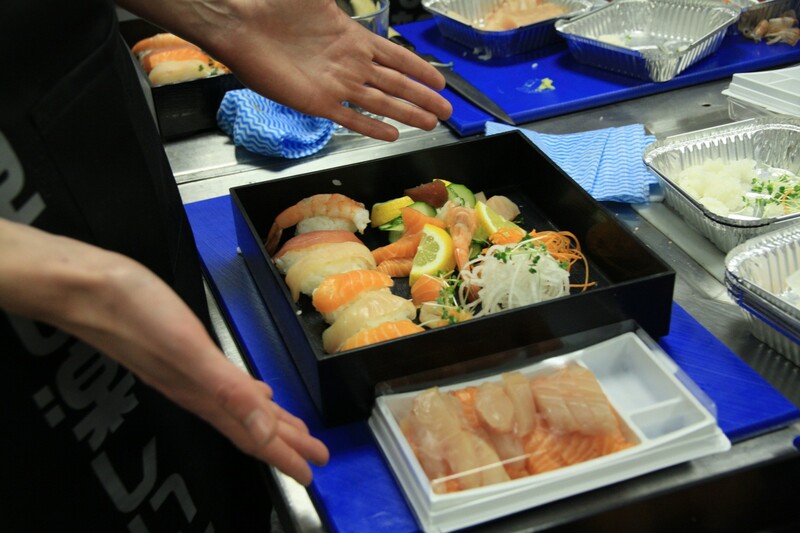 A good proportion of fish to veg.